Couldn't be Happier Couldn't be happier, Larry is very knowledgeable and helpful. Highly Recommended!! Initially we were a bit hesitant and unsure Initially, my husband and I were a bit hesitant and unsure of seeking a reverse mortgage. Luckily, we were referred to Larry McAnarney by our finacial advisor and he explained in detail the whole concept. Larry was very professional and answered all our questions during the process. 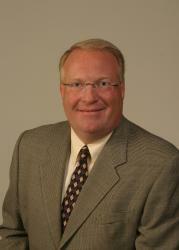 We would not hesitate to refer anyone to use Larry as their reverse mortgage consultant.